A witty and insightful report from the parenting trenches by the mother of two "adultescents"
Millions of American parents sit down to dinner every night, wondering why fully grown children are joining them or, more likely, grunting good-bye as they head out for another night of "who knows what." 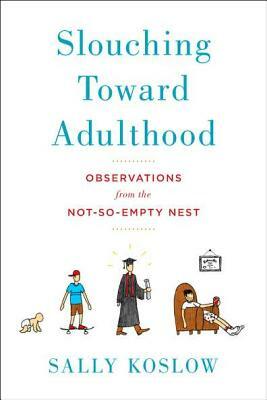 Sally Koslow, a journalist, novelist, and mother of two "adultescents" digs deep to reveal what lies behind the current generation's unwillingness or inability to take flight. By delving into the latest research and conducting probing interviews with both frustrated parents and their frustrated offspring, Koslow uses humor, insight, and honest self-reflection to give voice to the issues of prolonged dependency. From the adultescent's relationship to work (or no work), money (that convenient parental ATM), or social life, "Slouching Toward Adulthood" is a provocative, razor-sharp, but heartfelt cri de coeur for all the parents who sent their kids to college only to have them ricochet home with a diploma in one hand and the DVR remote in the other. Sally Koslow is a journalist, and an author, and the former editor in chief of both "McCall s" and "Lifetime." She has written for "O, The Oprah Magazine"; "More"; "Real Simple"; "Ladies Home Journal"; "Good Housekeeping"; "Reader s Digest"; and "Huffington Post." She lives in New York City with her husband; her kids have finally moved out."